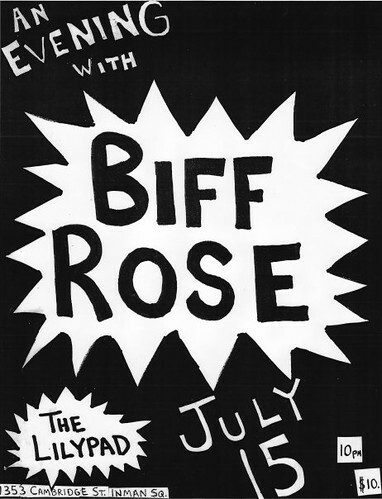 I haven't put enough time into becoming a Biff Rose fan, but this should be a bizarre night of melodious song and sardonically (I think) offensive lyrics. This New Orleans pianist was a cult favorite in the '60s and '70s, and Jesse Gallagher of Apollo Sunshine. There was an article in The Phoenix last week, and I was going to list it, but didn't. I was reminded about this, so it's an addendum to let you make up your own mind. It's going to be a night that might not ever happen again in Cambridge... Audience members are encouraged to bring their own instruments too!